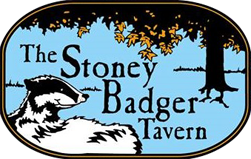 Here at the Stoney Badger, we love music. We love it live. Our idea of a perfect night is sitting down with your best friends and enjoying a smooth cocktail and taking in some live musical sounds. We provide the party atmosphere and the only thing you need to do is show up. We have a smoking side and non-smoking side to the restaurant so you can take your pick. The June lineup is already posted and ready to rock. Here are the bands that we will be featuring in June 2018. The kind is a Kind of a boogie, reggae, rock mix and will make you tap your toes and stomp your feet. You can hear a dozen or two of their songs at their website. June 23rd the Kind is at SBT. Be there. Legendary guitarist Bobby Messano and his crew play original blues music. Bobby has 8 albums and is well known in the blues community. He plays here on June 30th. Check out his website here. Also don’t forget every Wednesday is Craig Hanson. Comedy on Thursdays and Tuesday is open mic.